Combining healthy doses of suspense and humor, this lighthearted comedy/thriller skips and slides through one outrageous situation after another. 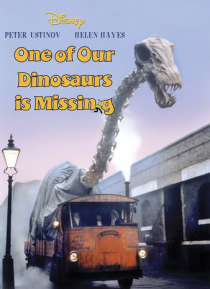 An international secret formula, microfilmed and hidden on the massive skeleton of a museum dinosaur, spawns a rollicking race between London-based Chinese Intelligence agents and...a battalion of British nannies?! The undercover caper takes to the stree… ts of London proper when the nannies decide to hijack the less-than-inconspicuous artifact!